Posted on April 9, 2018 by Sean K.
Nature in a minute to start off the week of April 9, 2018. We’ve had wood ducks spotted at the vernal pool 4 times over the past week. 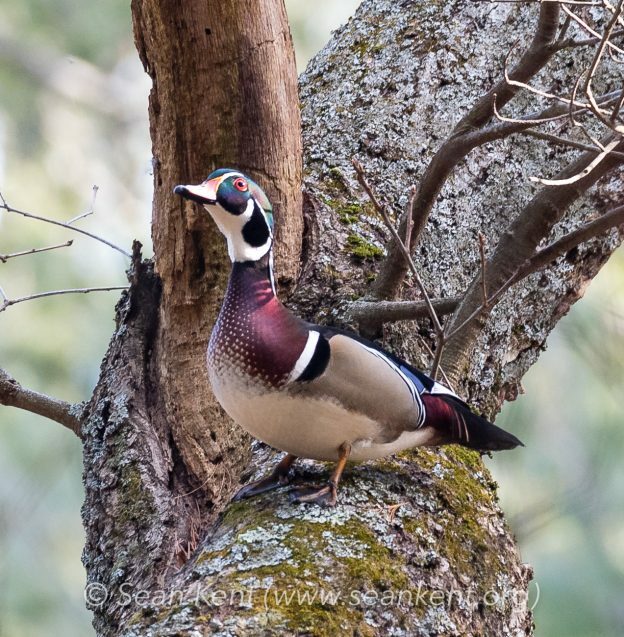 Here are a few wonderful new trail camera videos showing the wood ducks. They spent over three hours in the vernal pool on Saturday morning, April, 7, 2018. If you listen closely to the black and white video (it’s take at dawn ~5:15 am) you can hear the wood ducks talking to one another, it sounds a little bit like zippers opening and closing. Enjoy the following three videos. This entry was posted in Natural History, Nature in a minute, Wildlife Sanctuary and tagged nature in a minute, trail camera, vernal pool, video, Wildlife Sanctuary, wood duck video, wood ducks on April 9, 2018 by Sean K.. Thank you so much for the wonderful comment, it has been such a treat seeing them show up on the trail camera. I’ll keep you posted.